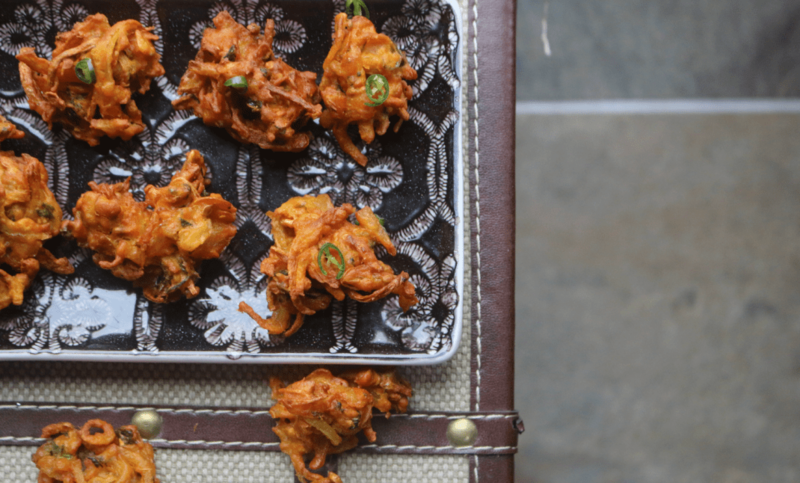 The Pakora… it’s as much of a favourite in restaurants, as it is at home. 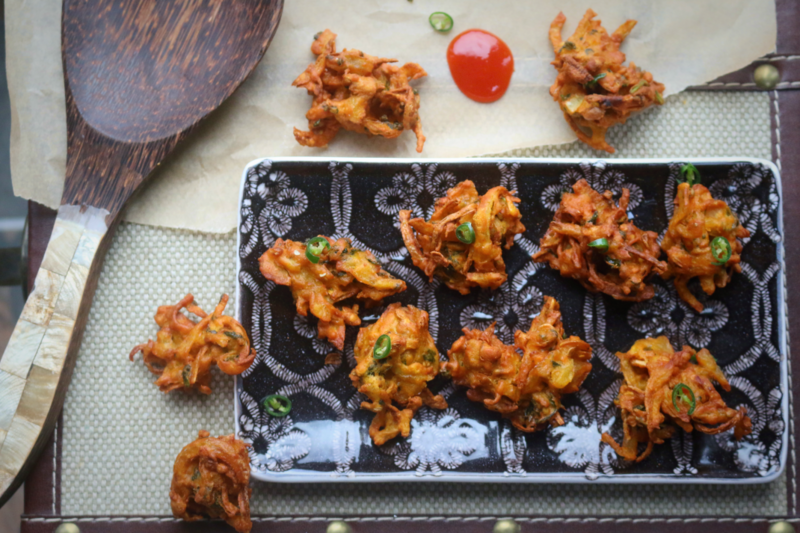 It’s so versatile – a great starter, a spicy canapé, a party nibble… but for me, as it is for most of my family, the pakora is the perfect comfort food. It belongs in the same class as the “onesie”, hot chocolate and mince pies! 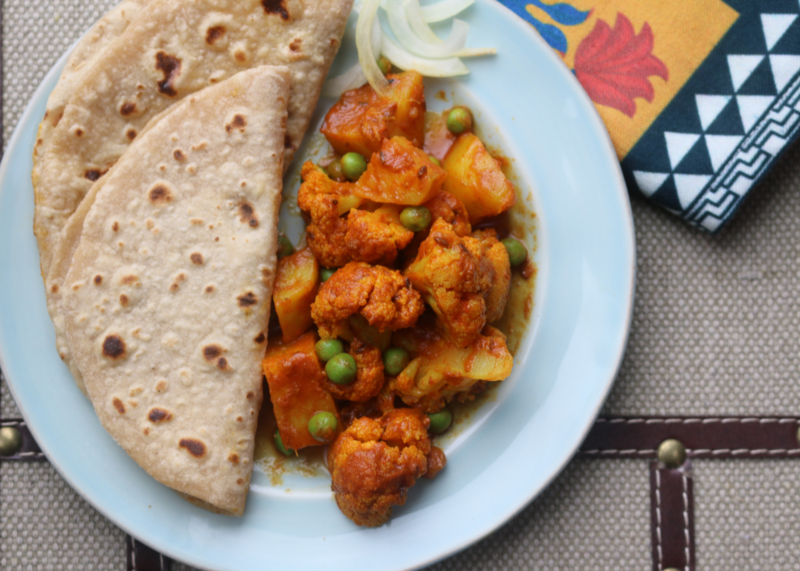 So it’s not a surprise that this recipe is such a favourite at my cookery classes. You can make a pakora from basically anything – it’s an excellent way to recycle your left over veggies (and use up pesky things like broccoli stalks!). 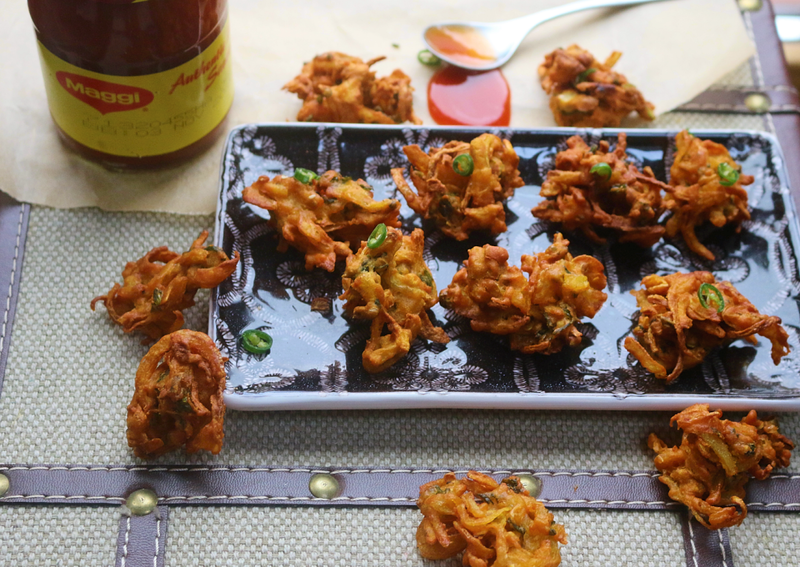 Crispy on the outside, steaming hot, spicy and fluffy on the inside – onion pakoras (or to be authentic… “pyaaz pakoras”) are my absolute favourite when I’m cold and in need of an internal hug. So if you need an alternative for your mince pie this winter… try this – you will not regret it. Place all ingredients apart from the gram flour, water and oil into a bowl. Mix well so everything is incorporated. Now add in the gram flour and mix well. 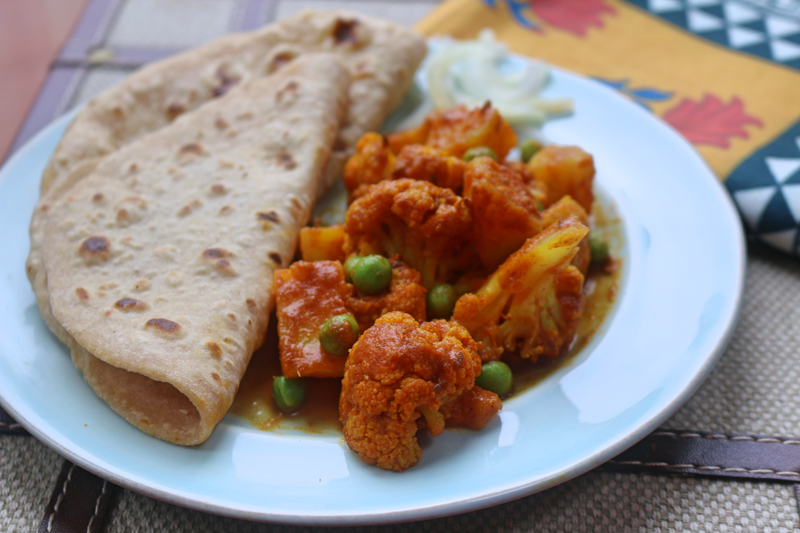 Gradually add enough water to bind the vegetables with the gram flour. You should be able to form clumps of the mixture with your hand/a spoon. If you find the mixture is not clumping - add more gram flour. Taste the mixture and adjust salt/chilli accordingly. Heat the oil in a pan (a small wok works best for this & you will need about 3-4" oil). 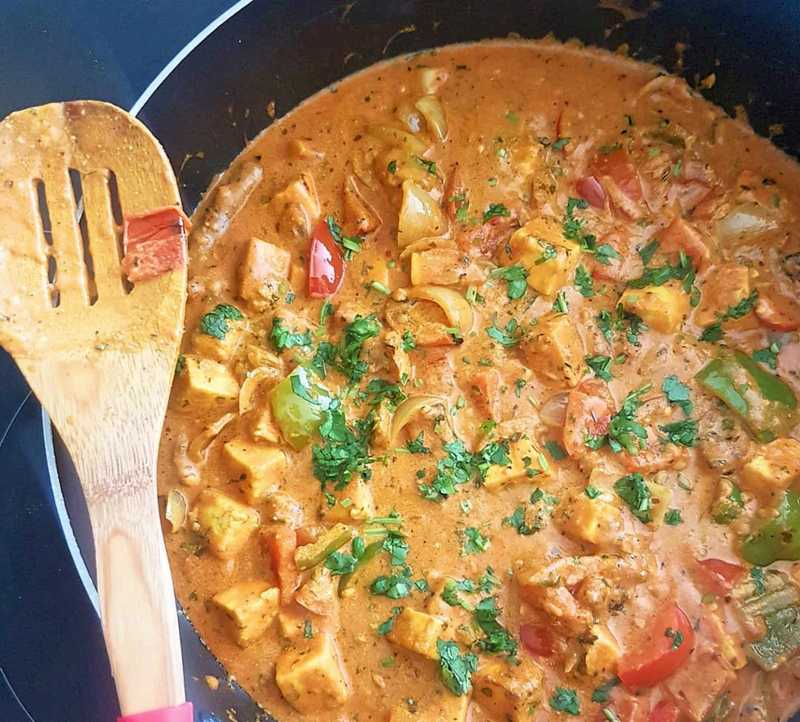 Once the oil is hot, carefully place clusters of the pakora mixture into the hot oil (if you're confident, you can use your hands to do this or to feel more comfortable, use a tablespoon). Be careful not to overcrowd the pan. Fry on medium heat until the pakoras are golden-brown all over. It should take about 3-5 minutes. Drain on a paper towel. Repeat with the remainder of the pakora mixture. To test the temperature of the oil, place a little cluster of the batter into the oil. It should take about 5-6 seconds to rise to the top of the pan. If it comes straight up, it is too hot. Take the oil off he heat and allow to cool. If it stays at the bottom, continue to heat the oil. You may need to adjust the temperature of your pan as you begin to fry the pakoras as the temperature of the oil will drop. As a general rule it should take 3-5 minutes to ensure they are golden and cooked all the way through.